211 users visit the site each day, each viewing 1.50 pages. It is hosted by Nebula Lb Vips Pit.hel.fi Pool4 Helsinki, using nginx web server. 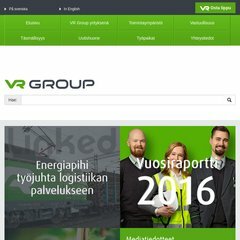 Vr-konserni.fi's server IP number is 188.117.35.8. There are 3 Nameservers, ns2.wmfi.net, ns3.wmfi.net, and ns.wmfi.net. PING www. (188.117.35.8) 56(84) bytes of data. A ping speed test response, is timed at 145 ms.